The Bell & Talbot Bridgnorth was first licensed in 1831, to Fishmonger William Minshall, at 2 Salop Street and it started as a mixture of a brewhouse and wet fish shop. Parts of the building estimated to date back to the 14th century. At this point it had no signage. At this time it was not the only alehouse on Salop Street, there was also The Ash, The Barrel and The Commercial And New Inn (Now Whitburn Grange Hotel). It was to be joined in 1840 by The Leopard. In 1844 Richard Evans, an experienced innkepper, took over the premises and carried the name The Bell from his families pub in the High Street. 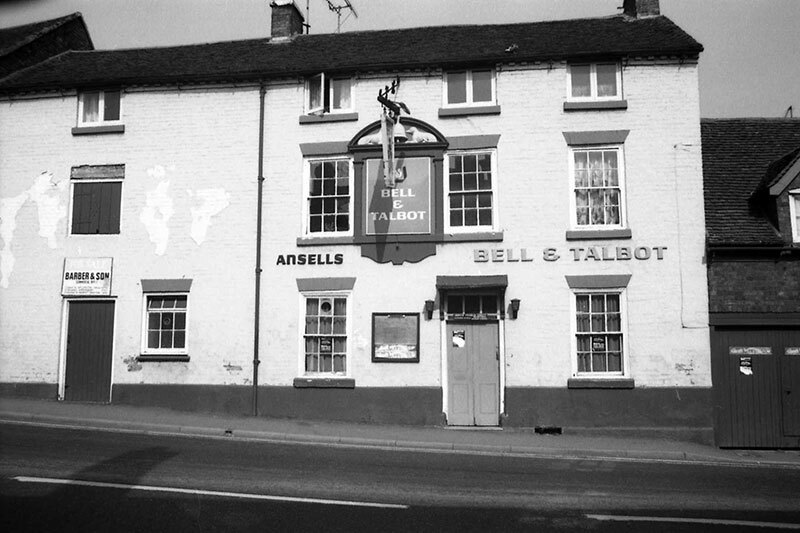 When the Bell Inn on the High Street gained a licensed inn status, Evans added the word ‘Talbot to the pubs name and thus it became ‘The Bell & Talbot’. The Talbot was a now extinct white hunting dog which was an ancestor of the modern beagle and bloodhound. A brewhouse was added to the building, which was supplied by its own fresh water well. The well still exists today capped off in the conservatory at the rear of the pub. In 1831 the premises would probably have been known as a beerhouse, although it had inn status, as it brewed and served it own beers and it opened just after the introduction of the Beerhouse Act. Prior to this most pubs were known as alehouses or inns. The introduction of the Beerhouse Act 1830 enabled anyone to brew and sell beer with a licence costing two guineas, or £2.10 in modern currency. The intention was to increase competition between brewers and thus began the decline of alehouses brewing their own beer and an increase in the number of public houses. The term beerhouse was gradually replaced by public house later in the 18th century as it was indeed a house open to the public to buy ales. It is believed the brewhouse continued to produce ales for the pub until the 1920’s. At this point the premises was brought by Ansells of Aston a reknowned local brewer. Sometime in the 1970’s the pub was expanded when it merged with the property next door. In photograph above you can see the next door sign saying Barber & Son. From 1983 – 1988 the premises was run by The Little Pub Company, a marketing arm of the Birmingham Brewery, during which time it had many licensees. In 1988 the Bell and Talbot from finally freed and became a Free House under the ownership of Robert Mavir. Joan and Geoff Bodenham (Later to become a Bridgnorth Councillor) took the reins in 1994 and stayed until 2000 when they sold the premises to Ross Ireland. Ross stayed as owner but appointed licensee Guy Gibson to run the pub from 2002 – 2013. In 2013 Ross took back control and became the licensee once again. The desolate brewhouse was restored in 2013 and converted into a micro brewery now known as the Clipper Brewery. In 2014 Ross Ireland sold the premises to new owner Kevern Jones, a local business man, best known as Kev The Clipper. 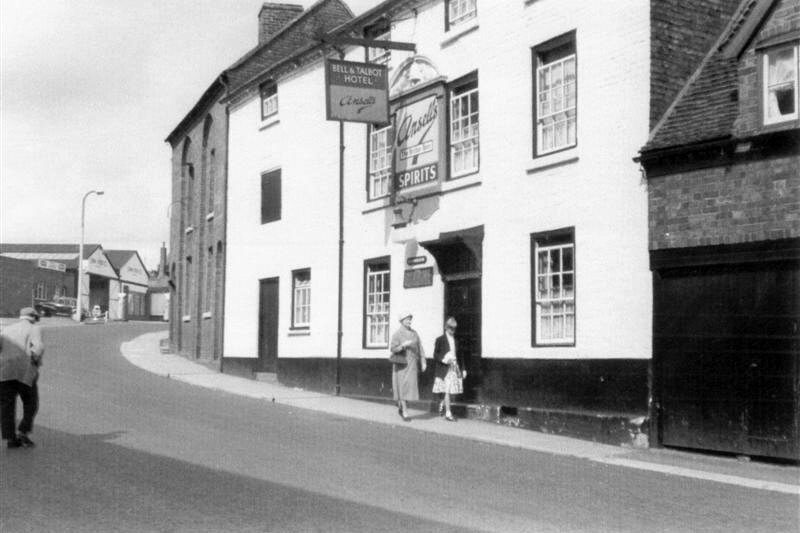 Read more on the History of Bridgnorth Pubs And Inns .